When I was a little girl, I remember my mom doing a lot of reading. She would spend time reading with me, but she would also take the time to read her Bible, and read Christian books that helped her grow in her faith. Her bookshelves were full of inspirational, Christian living, and devotional works that aided her in her daily walk with the Lord. For a time, I followed suit. I read a lot of good books that were extremely helpful in my faith. But after a while, I stopped reading. I got out of the habit and left it by the wayside. That's something I have talked about here at TPT numerous times. 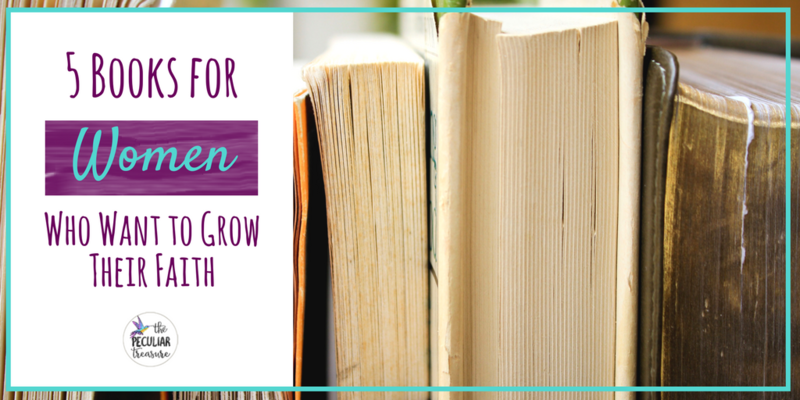 But despite the fact that I've had to start from scratch to form new reading habits the past couple of years, I still think that Christian books and devotionals are incredibly helpful tools for growing near to God and growing strong in the faith. However, have you ever noticed how many different titles there are in the "spiritual development" section? And trust me- all books are NOT created equal. Some are worth the read, some are worth passing up, and some are just a bunch of junk. Let's start with Wild and Free. Seriously, this book is so good! Jess and Hayley are both awesome writers with a heart for God and a desire to see women find true freedom in Christ. I really appreciate how they don't skip over our sinfulness, yet still show us that we not only can be forgiven for our sins, but that we can also find true freedom in life. This autobiography was written by my dear friend, Julie Moore, of The Hallway Initiative. I wrote a post about Julie's book a while back, but I definitely wanted to include it in this list too! Julie did a fantastic job illustrating how even in the toughest moments in our lives, God is preparing us for our purpose. If you have been struggling with this concept (or even if you haven't), A Place Prepared is a great read! I believe I was in middle school when my mom asked for this devotional book for a gift for her birthday. I gave it to her and she read it and reread it for years. I didn't go all the way through the book myself, but I often borrowed it from her and did my own quiet time in the same book. It's short, yet truth-filled- just the way I like a devotional! My sweet friend, Marsha, of Faith and Fitness with Marsha Apsley, launched this devotion book in September and she rocked it! This devotional focuses on drawing near to God and having the right mindset and thoughts when it comes to diet, exercise, and overall health. Each day's reading is short, which is perfect for times when you are on the go but still want to do a devotion! Check it out! Honestly, I think sometimes we get so caught up in reading good books, we forget that the Bible is the ultimate book. It's the way we draw near to God, the way we see truth more clearly, and the ultimate way we grow in our faith. So, it seemed silly not to include the word of God in this list. Of course, I'm the one who came up with this post, so I'm not downplaying the role of awesome books in helping us grow in our faiths, but let us never forget that the Bible is and always will be numero uno. Note: The Bible I shared above is the same one I have. I love it! 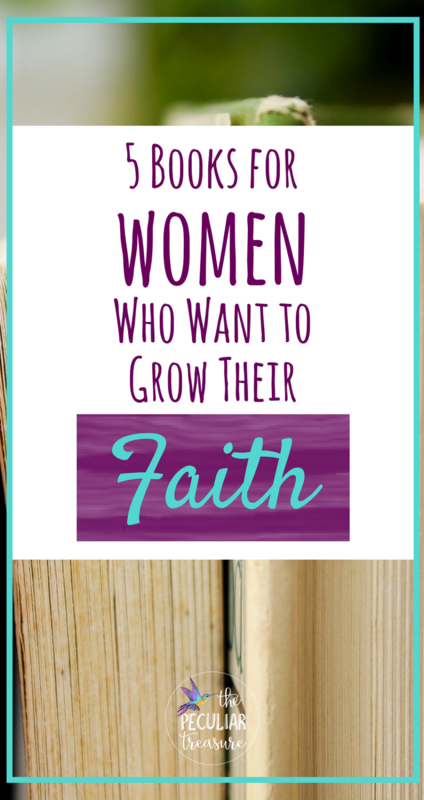 Honestly friends, these are all books that can help you grow in your faith. So whether you are shopping for yourself, for a Christmas present, a birthday present, or a "just because" gift, these are great choices. We all need a little bit (or a lot) of daily encouragement in our walk with God, and I am hopeful and confident that these book suggestions will do just that. Happy reading! Which one of these books interests you most? Tell me in the comment section below!